Oliver Saikaly and Emily Davila at the National Sales Challenge. 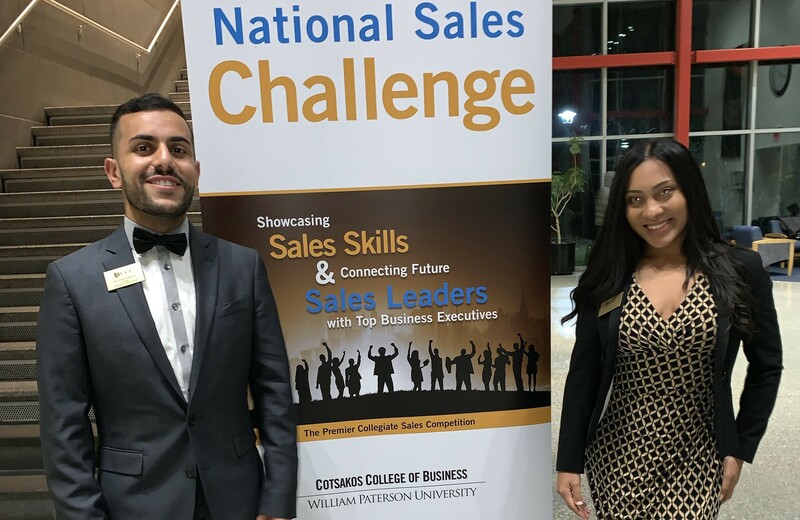 Competing against more than 75 top performing sales students from the United States and abroad, UCF marketing student Oliver Saikaly won the individual championship at the recent 2018 National Sales Challenge at William Paterson University in Wayne, New Jersey. Saikaly and teammate Emily Davila, both members of the College of Business’ Professional Selling Program, also received awards for speed selling and the sales call role-play at the competition. The National Sales Challenge marked Saikaly’s competitive sales debut representing UCF and the selling program. In the competition, Saikaly and Davila utilized the skills developed through mentorship opportunities, role-play exercises and networking events hosted by the PSP. “I took advantage of everything I could possibly learn in the Professional Selling Program and made myself an expert in the products I was selling,” Saikaly says. Saikaly demonstrated his selling abilities and intimate knowledge of various products and services during the sales call role-play, where he was required to close a deal with a business executive over the course of a 15-minute meeting. In the speed selling event, Saikaly was given two minutes to deliver a mock sales pitch highlighting his passions for sales and baking while convincing an executive to hire him. The National Sales Challenge is a three-day event and competition offering students the chance to network with representatives from major corporations, receive feedback on their sales skills and gain real-world business knowledge from successful executives. Hosted by the Russ Berrie Institute for Professional Sales at William Patterson University, the event also provides students with connections to corporate partners and job opportunities. “Oliver and Emily are exceptional students who represented UCF and the Professional Selling Program with class in front of their peers,” Steiger says.